In light of the recent bailout plans by the federal government for the financial sector, it is clear that mounting debt problems are running rampant throughout the U.S. economy. But there are some important strategies you can use to start taking control of your finances. First and foremost, it is crucial to step back and get an accurate view of your current financial situation. Before you can set goals for improvement, you must know where you’re at now. Almost all debt reduction strategies involve creating a personal balance sheet and a debt list. These help you to visually see your financial standing. With the personal balance sheet, list what you own next to what you presently owe. Then, with the debt list, track the interest rates and balances of whatever credit card and other debt you may owe. When comparing the two lists, you will be able to see how much existing debt you have and what steps you need to take next to reduce those numbers even more. It is important to speak with any other members of your household who may be contributing or bearing the burden of this debt. Make sure they are on board with you to seriously work at reducing and eliminating the debt. Create and maintain a personal balance sheet, logging what you own (and have paid fully for) and what outstanding debts you have still to be paid. Taking this first step will set you on the road to realistically tackling and paying down what you owe. Create and maintain a list of debts, tracking what interest rates you are paying to creditors and how much debt you have to pay before eliminating all of your credit debt. Keeping accurate logs will encourage you as see your remaining balances going down each month. Consolidate student loans to ensure a fixed rate during the period of repayment. Use extra money saved from paying down debts to increase savings and retirement funds. Consider selling some nonessential assets to help in paying down debts. Restructure your mortgage payments to reduce the total interest you will pay while reducing the time it will take to pay it off. Pay more than the monthly minimum on your credit cards if at all possible. Create and stick to a household budget. Buckle down and you can do it! In order to reduce debt you need to keep track of your spending. By doing this, you will be able to see if there are any unnecessary expenses you could cut out. And when you start getting rid of such expenses, you will have additional funds available to contribute to your savings. Building your savings will give you the crucial funds needed in case of any unforeseen emergencies that may occur. Devising a sound plan to tackle debt will be critical to your success. Look realistically at how you can pay down debt each month while maintaining your household budget. Use surplus money you’ve saved in reducing your debt to increase contributions to retirement funds or increase general savings accounts. 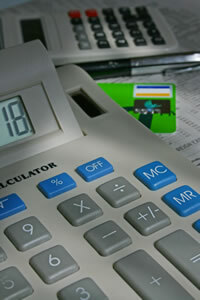 Another strategy to consider is consolidation of your debts using low interest credit cards. Many companies are open to negotiating their interest rates to match those of competitors. The debt snowball strategy is a method of debt repayment that involves revolving credit. In this form of debt management, any excess cash is used to pay debts by meeting the smallest payment amount owed among all existing household debts. First, all debts are ranked from largest to smallest amount owed. Next, the person(s) owing the debts commits to meeting the minimum payment amount for each of the debts, and any extra cash that is available is put towards paying off the smallest debt amount each month until the debt has been eliminated. Once that debt has been paid off, the amount of the minimum fee that was being paid on it (plus any extra available) is added to the minimum fee being paid on the previously second-largest debt. Now that new amount is applied monthly to reducing and eliminating the now smallest debt amount. This process is repeated until all remaining debts have been paid off. Thus, the extra amount being paid towards the larger debts appears to grow (or “snowball”) rapidly. Dave Ramsey is a celebrated financial coach and New York Times bestselling author. Dave recommends 7 easy steps to getting out of debt and reaching financial freedom. These steps are establishing a $1,000 emergency fund; paying off all debt using the debt snowball strategy; maintaining 3 to 6 months worth of expenses in savings; investing 15% of your household income into ROTH IRAs and pre-tax retirement; building college funds for your children; paying off your home early; and building your wealth while also giving to others in need. Suze Orman is a best selling personal finance author and host of “The Suze Orman Show,” on CNBC. Suze recommends a holistic approach to tackling financial debt, starting from reevaluating why you’ve gone into debt to what is keeping you trapped in it. Some of her recommendations include always paying bills by the due date, monitoring your annual credit report and FICO scores, maintaining an emergency savings fund, consolidating any student loans to lock in low interest rates, paying off credit card debt starting with the card(s) with the highest interest rate, and applying extra cash towards savings and building your future.